We have already had some hot and humid days that have required us to turn on our air conditioning in Kalamazoo. 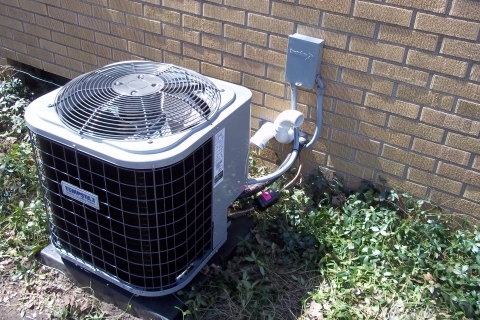 If you notice your air conditioning system is making noises that it shouldn’t or if it doesn’t seem to be working properly, you need to make the determination whether it should be repaired or replaced with a new unit. JP Heating & Air Conditioning in Kalamazoo can help you make this decision by being open and honest with you about your options. The first thing we will need to look at is the age of your central air conditioning unit. If it’s not functioning properly and is over ten years old, it’s a good idea to replace it with something new. Units that are that old are not nearly as effective and efficient as newer models. When a unit is ten years old, the SEER rating is likely below current industry standards making it less efficient than it should be. A new air conditioning unit will not only provide you with more consistent air conditioning, it will also save you money on cooling costs. Another thing you should consider is how much money you have invested in repairs to your current central air conditioning system. If you often spend money on repairing your unit, you’re likely to save money in the long run by having the unit replaced instead of repaired over and over again. If there seems to be a lot of dust throughout your home, this could indicate that there is a problem with your air conditioning system. The dust could be a product of leaking ducts that are taking in dust particles and distributing them through your air vents. Dust not only causes more housework but can also be hazardous to your family’s health. An HVAC professional will help you to determine whether your ducts can be repaired or should be replaced.